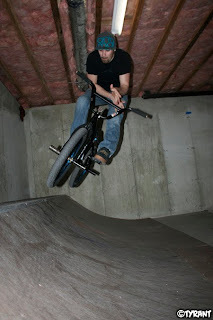 We rode Jay's ramp last night and it was my first time riding outside the basement since the doctor cleared me to ride. It it definitely going to take some time to get back to normal, but I felt pretty comfortable. The guys were going off as the always do. Steve was boosting the wallride and some huge tables, Arnwine was trying whips to disaster, and Tiny TYRANT was landing all kinds of madness! The banger of the night was when Brandon hang 5'd the whole deck of the ramp. Damn kids! Schmidt and Tony T. showed up later in the night and were getting loose. It's always a good time going to Jay's. Sounds like another session will go down next week too! Check out CNN today at 12:50. 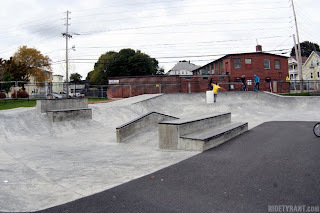 A news story about the Pawtucket Skatepark will be airing and I contributed a bunch of photos to them. TYRANT's gone national news! ;) Hopefully the feature will be available to stream on CNN.com after the initial broadcast. We had great basement session last night! A bunch of guys came out to ride, Schmidt put on rollerblades, and all in all it was a good time! 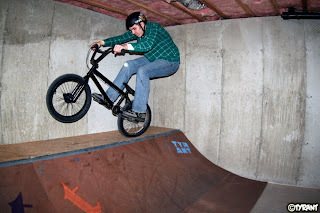 Been busy working on the basement, painting banners, cutting stencils, and riding a bit. Sorry for the lack of updates. I'm sure a lot of cool stuff will surface later in the week/over the weekend! 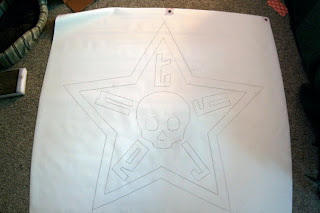 I'm in the process of making several 3' x 3' star logo banners for a few for local shops, Haven, Jay's Ramp, and the basement. No digital vinyl plotter or $100 price tag here, I'm doing 'em the old school way...with a #2 pencil, a ruler, some acrylic paint....by hand! Here is a sneak peak of the lined out logo...paint to come very soon. If anybody wants to purchase/barter for one of these banners for their backyard ramp, man cave, shop, etc. contact me and we'll work something out. I'll get a finished product pic up this weekend! The snow isn't keeping Tiny TYRANT from getting rad on his backyard ramp! Backyard Ramp Edit from Brandon Begin on Vimeo. Oh man, things are gonna get out of control this weekend...the TYRANT's Lair will be coming to life. 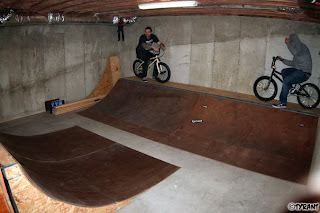 D.Whip has donated his old basement ramp set-up to me and it will be assembled in our basement this weekend. 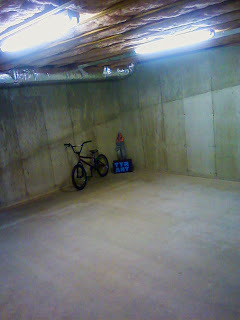 Expect a super tight vert wall, wallride, mini sub-box, 2 quarters, and lots of ducking! OFF THE HOOK!